The waitstaff and owners of Rustler’s Steakhouse are teaming up to raise funds for the Nolan Desmond Family who are facing significant medical challenges. The “Tips for a Cause” fundraising event will occur this Sunday, October 29 from 11 a.m. to 4 p.m. at the restaurant located at 754 Roosevelt Trail. 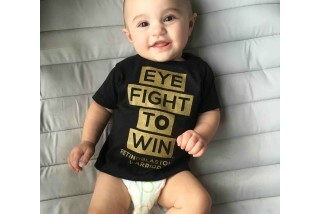 Eighteen-month-old Nolan Desmond was diagnosed with Bilateral Retinoblastoma approximately a year ago. Bilateral Retinoblastoma is type of cancer that forms tumors on the retina of the eye, in Nolan’s case at that time, both eyes. According to a previous article written in the October 7, 2016 edition of The Windham Eagle, Nolan received chemotherapy along with laser treatments on newly formed tumors and the treatments shrunk the tumors to half their original size. Nolan is currently seeking medical treatment again and Rustler’s Steakhouse wishes to assist the Desmond family with medical expenses. If you cannot make the event you can donate anytime to www.gofundme.com/babynoles/donate.